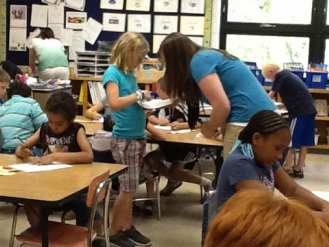 School Counselors deliver engaging large classroom lessons to all K-5 students. Topics include Career and College Explorations, Bullying, the importance of being an Upstander versus Bystander, Conflict Resolution, Building Friendship Skills, Listening Skills, Kindness, Responsibility, Growth Mindset and Spark Exploration. ​visit us on Pinterest & YouTube! Don't forget to check out our BLOG section to read more about the activities and lessons we are doing!